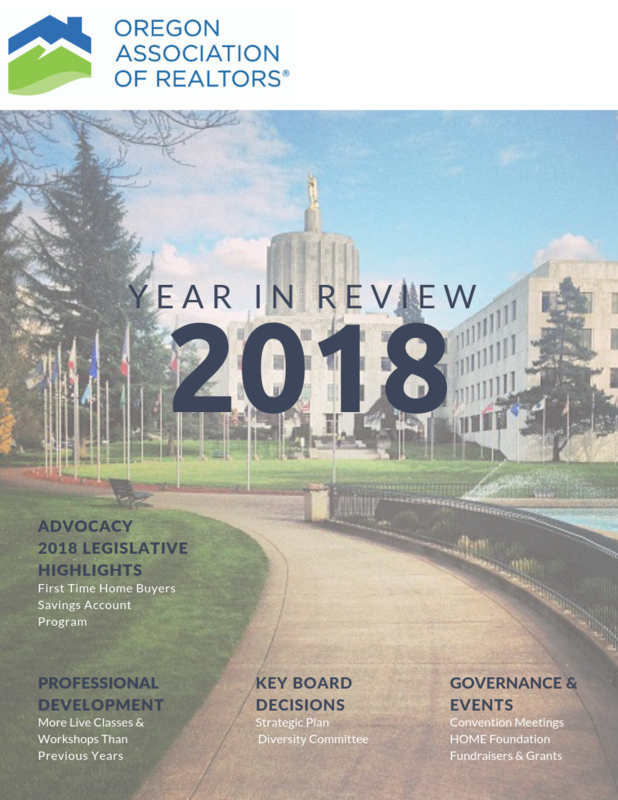 2018 was an exceptional year for the Oregon Association of REALTORS®. We passed several bills to help our industry; the Principal Broker Advanced Real Estate Practices required course and the First Time Home Buyer Savings Account Program. We had a record year of RPAC Major Investors and we raised over $2 million in grants to fund issues around the state of Oregon. See a recap of major accomplishments & activities of the Oregon Association of Realtors® in 2017.